Facial rejuvenation at Isthmus Wellness addresses both your external appearance and internal symptoms to create a youthful appearance and enhance your life. We endorse a routine of high-quality nutritional supplements combined with the facial rejuvenation services of your choice. Premature aging is a result of collagen proteins loosing their flexibility, elasticity and function. The factors that damage collagen proteins include; low-grade inflammation damaged cellular DNA and stress. Signs of premature aging reflected in the skin include uneven skin tone, outbreaks and wrinkles. 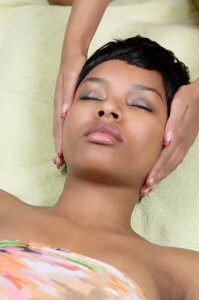 To support your facial rejuvenation sessions we recommend customized nutritional support. High-quality nutritional supplements are critical for improving cellular health. Poor quality supplements will actually further damage DNA, burden the liver and create free radicals. At Isthmus Wellness we use the highest quality nutritional supplements available for daily nutritional support. The highest quality nutritional supplements are identified by USP (United States Pharmacopeia) after each ingredient. The USP mark verifies the quality, purity and potency of each individually tested ingredient. Please speak with your facial rejuvenation therapist or acupuncturist to create a nutritional support program tailored to your needs. Understanding which super-food supplements, multivitamins, individual nutrients, fish oil supplements, probiotics and antioxidants you need is key to cellular regeneration. Schedule an Appointment Today! Click here or call (608) 441-9355 to schedule facial rejuvenation today!